Croatian famous model Ljupka Gojić Mikić is quite popular in Japan though not because of her past modeling gigs. It is more due to being wife of Mihael Mikić, Japan’s big football star, also she gets attention for her feminine and always casually polished looks that she happily shares on her very popular and influential Instagram @ljupkagojicmikic. Only when people in Japan google her name they get to see her past modeling career and are usually even more impressed. We met her in Zagreb this winter wearing simple style – loose cardigan and scarf with ripped jeans. 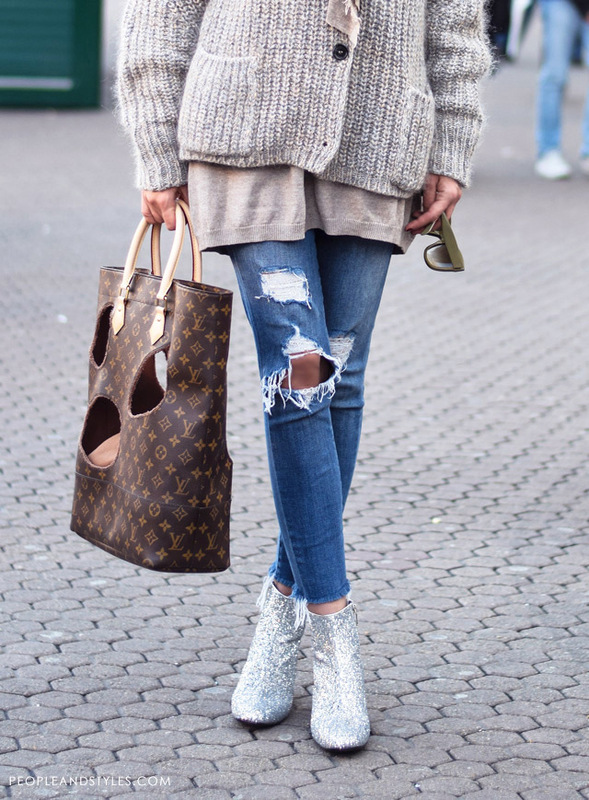 Although glitter ankle boots by Saint Laurent »» gave a very strong accent to this casual outfit (and certainly caused a lot of head-turning!) we particularly like the color that dominates in Ljupka’s style – taupe – describing one tone between tan and gray. Great color to mix and match!